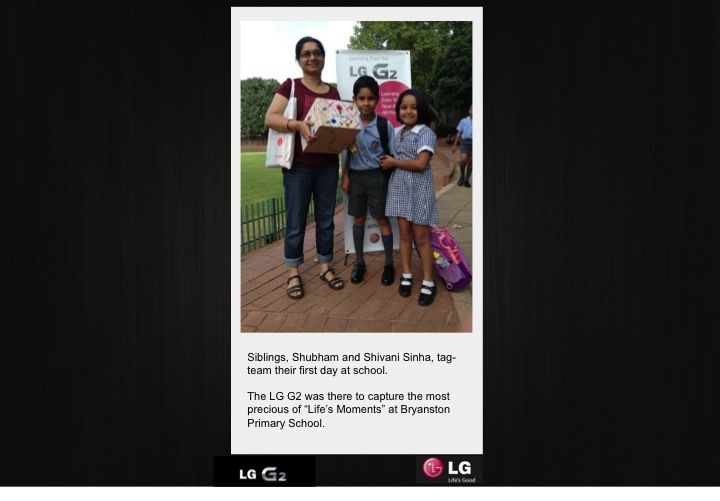 It was back to school last week, and to capture the special and warm (and sometimes teary) moments, LG visited five schools in Gauteng for their #LifeMoment campaign, and took pictures and videos of kids, parents and teachers using the LG G2 cellphone. 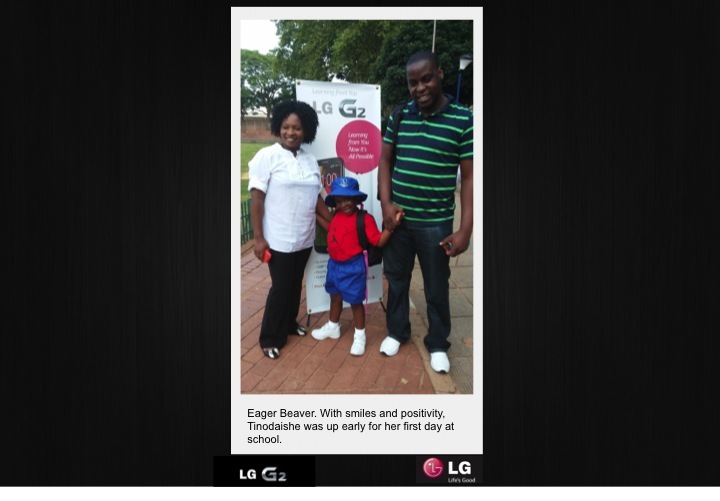 So, in the spirit of back to school, LG is giving away one LG G2 smartphone this week. I reviewed the phone when it was launched recently (you can read the full review here), and it has since been hailed as one of the best Android phones on the market (many also said that it topped other big-name cellphones). 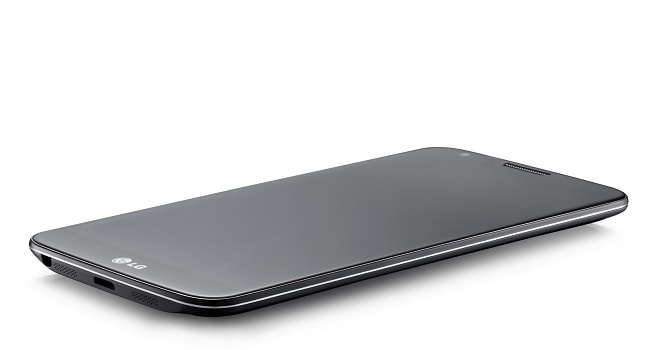 What can you expect from the G2? 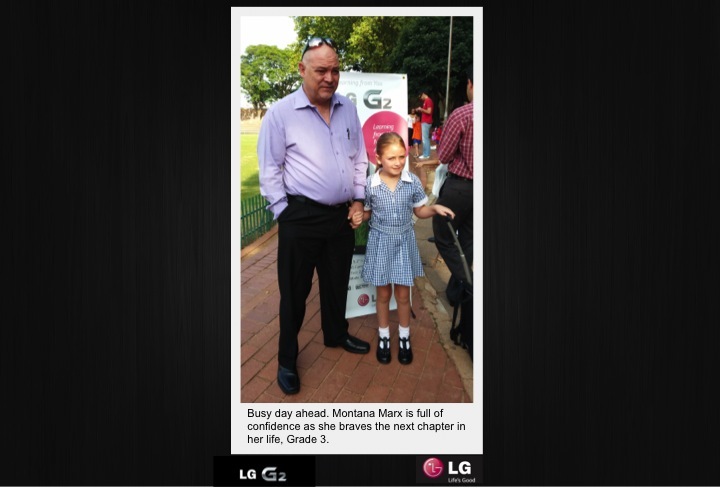 – All pics must be in by Friday 24 January at 11am. The winner will be announced later that day. 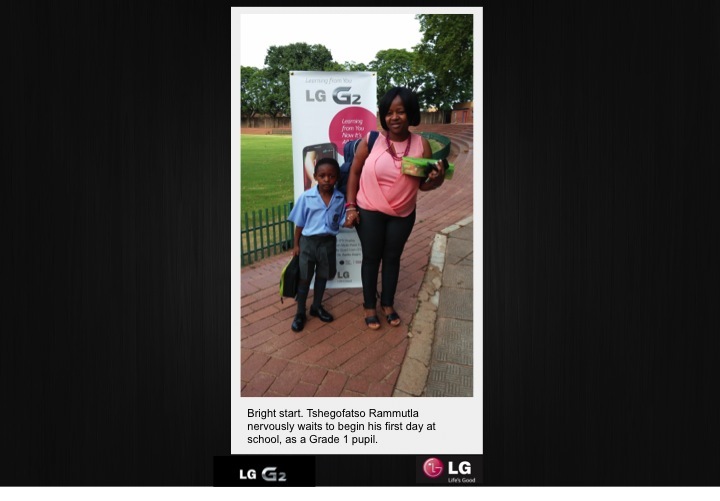 – The competition is open to South African residents only, and the prize cannot be exchanged for cash. I love all of those pictures – so much happiness! 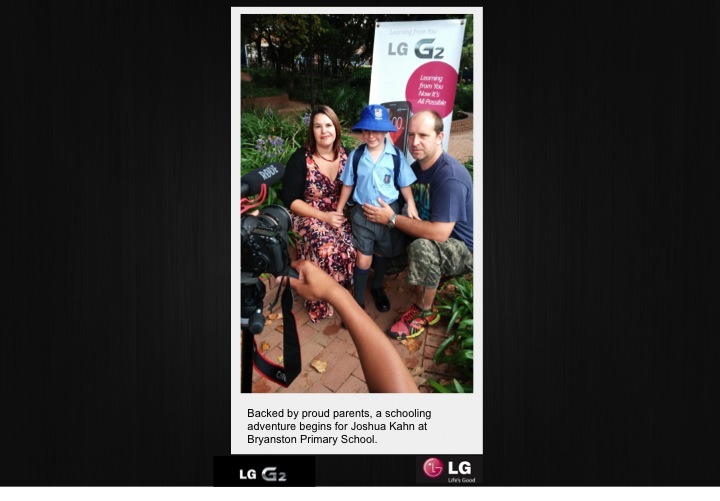 I have emailed you the photo I took of Zoe on her first day! Great competition! I have email my entry of my daughter Zoe to you 🙂 Holding thumbs! I emailed you my entry. Thanks!